The Greek goddess, Persphone is our muse. This mysterious and powerful female figure stands out among the line up of Goddesses. She is both light and dark. Rebirth and death - she is the Goddess of the Spring and the Queen of the Underworld! Such beautiful dualities at play here! Within this lesson, you will witness me transform this portrait from a rough sketch to a fully painted rendering, using many different mixed media supplies. *Originally filmed for Ever After 2017 with Tamara LaPorte, I am delighted to share this layered, mixed media portrait lesson with you now! Quick value and color study. For this lesson, I will be guiding you through my entire process of creating this portrait, including starting the sketch with my non dominant hand! A fun trick that I love to use for beginning almost all my portraits now! We will then move on to creating a toned underpainting before progressing to creating skin tones, features and hair. 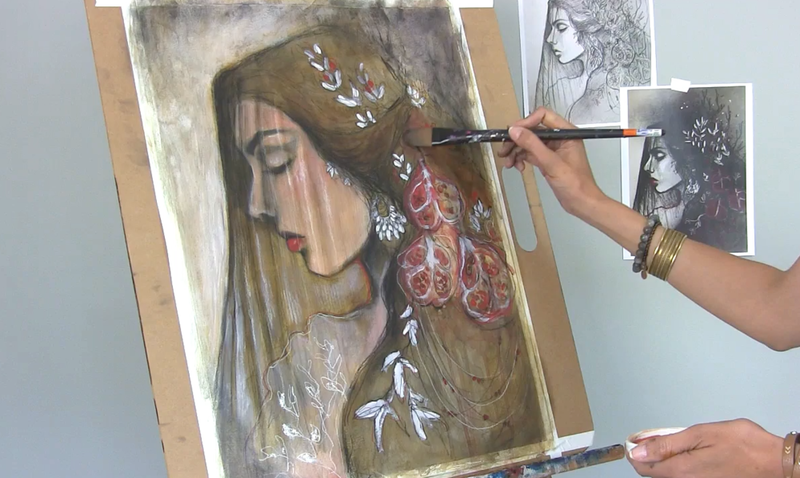 You will love learning some of my tricks to glazing with acrylic inks, using fine white line work to activate the portrait as well as creating an elaborate headdress of pomegranates and blossoms. 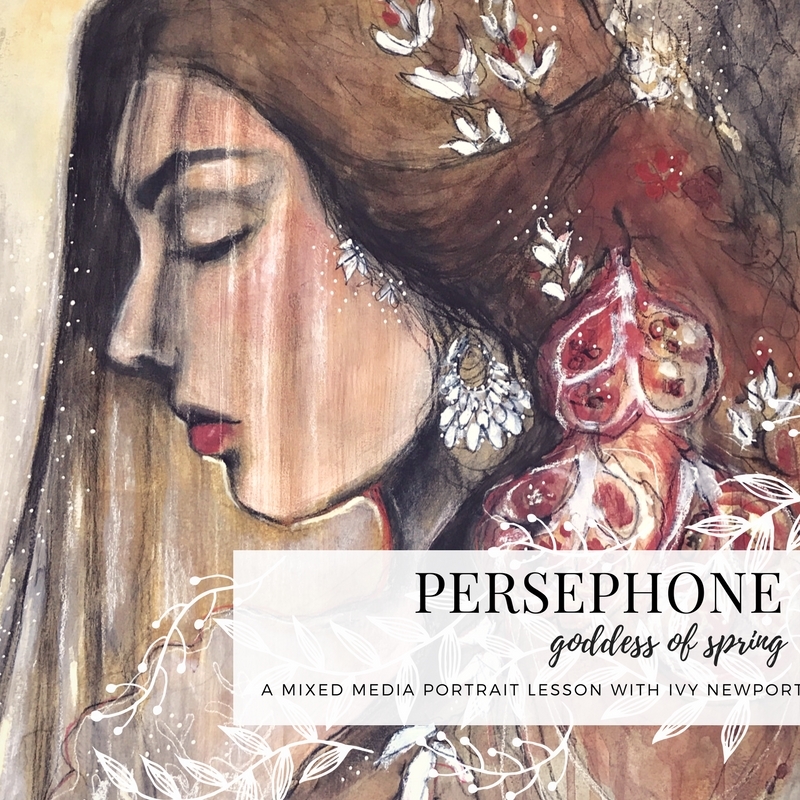 Creating your own beautiful portrait will be both rewarding and illuminating as you bring your style, symbolism and individual interpretation of this Greek myth to your final work! Watercolor Paper or substrate of your choice - I used 140lbs cold press paper 18" x 24"